This study was conducted with data mining (DM) techniques to analyze various patterns of online learning behaviors, and to make predictions on learning outcomes . Statistical models and machine learning DM techniques were conducted to analyze 17,934 server logs to investigate 98 undergraduate students' learning behaviors in an online business course in Taiwan . The study scientifically identified students' behavioral patterns and preferences in the online learning processes, differentiated active and passive learners, and found important parameters for performance prediction. 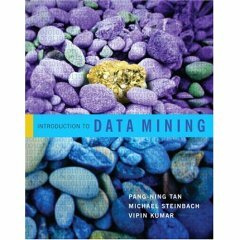 The results also demonstrated how data mining techniques might be utilized to help improve online teaching and learning with suggestions for online instructors, instructional designers and courseware developers. You just viewed Revealing Online Learning Behaviors.... Please take a moment to rate this material. If you know the author of Revealing Online Learning Behaviors and Activity Patterns and Making Predictions With Data Mining Techniques in Online Teaching, please help us out by filling out the form below and clicking Send.